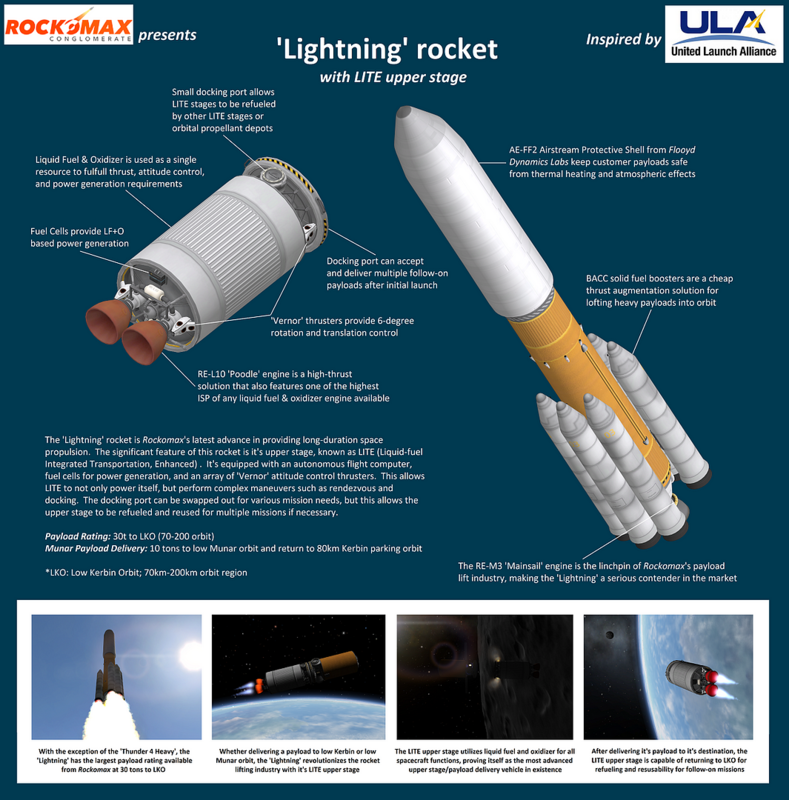 The ‘Lightning’ rocket is Rockomax’s latest advance in providing long-duration space propulsion. The significant feature of this rocket is it’s upper stage, known as LITE (Liquid-fuel Integrated Transportation, Enhanced) . It’s equipped with an autonomous flight computer, fuel cells for power generation, and an array of ‘Vernor’ attitude control thrusters. 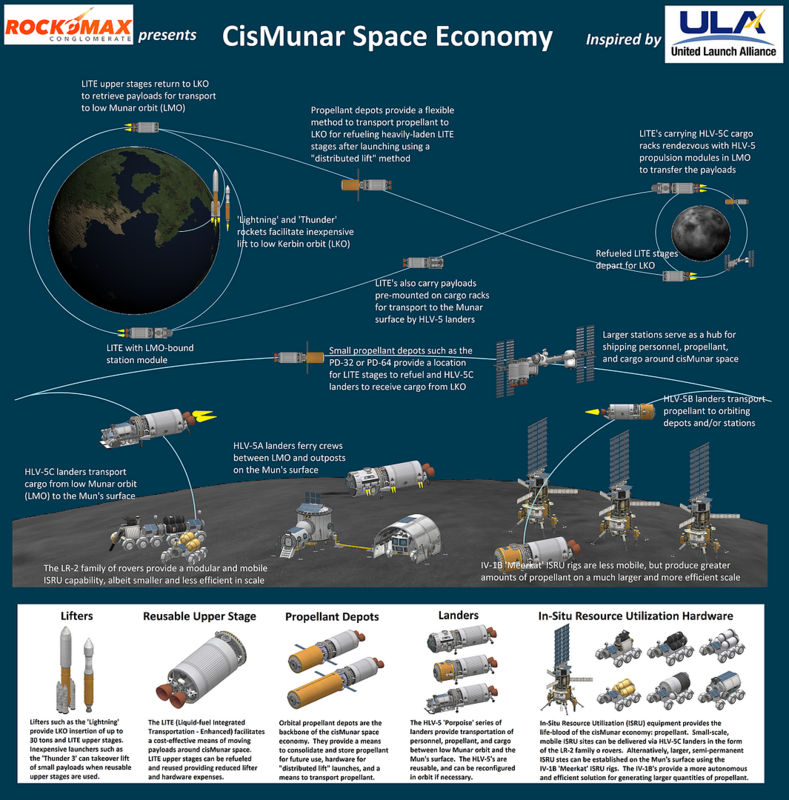 This allows LITE to not only power itself, but perform complex maneuvers such as rendezvous and docking. The docking port can be swapped out for various mission needs, but this allows the upper stage to be refueled and reused for multiple missions if necessary.